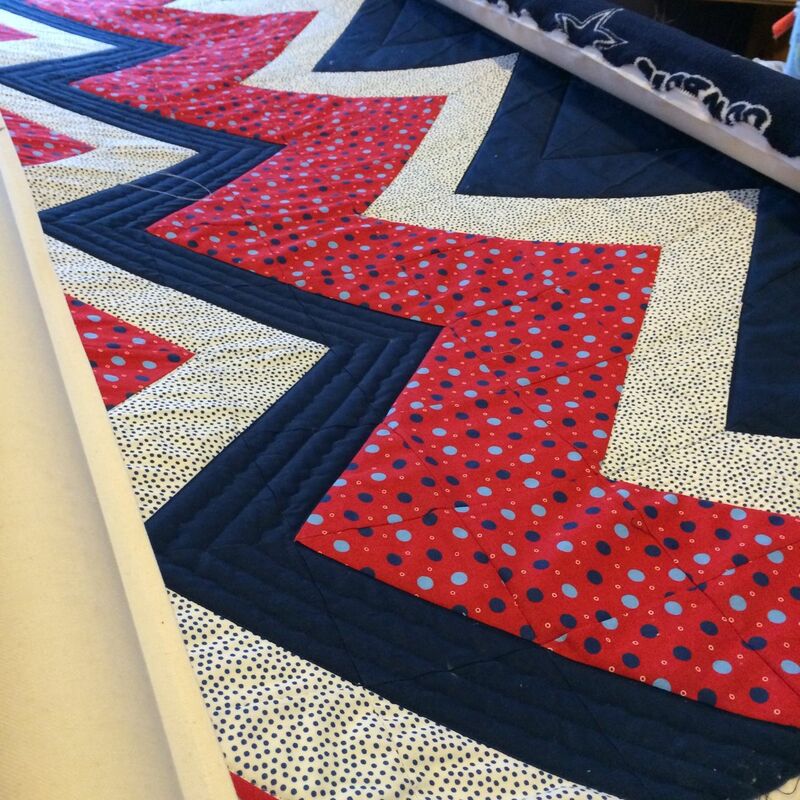 I am quilting: Mark’s lap quilt with the minkee backing. 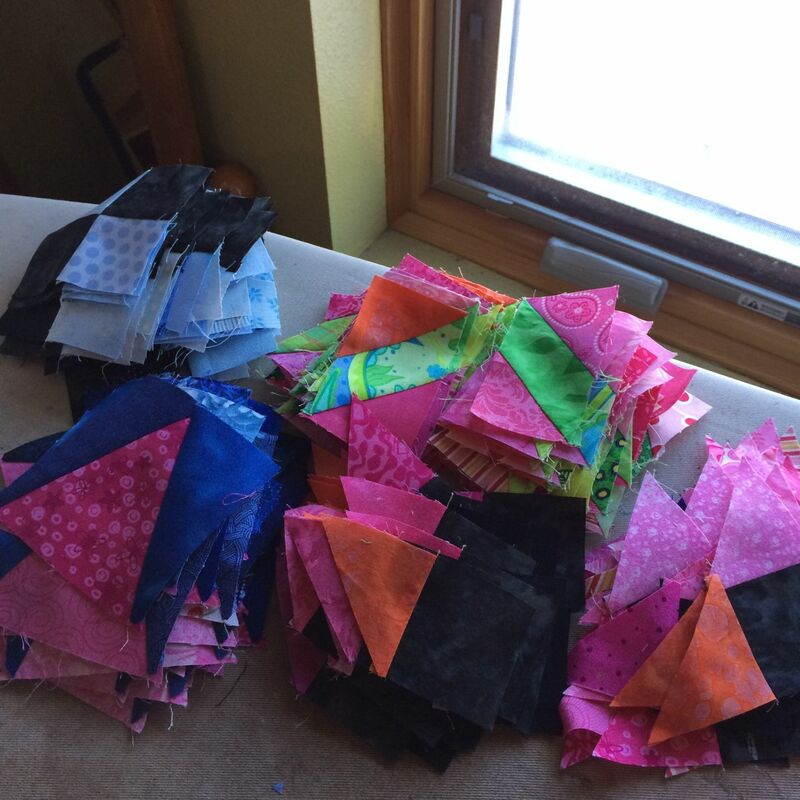 I am piecing: I need an in-progress code name for this quilt. Any ideas? 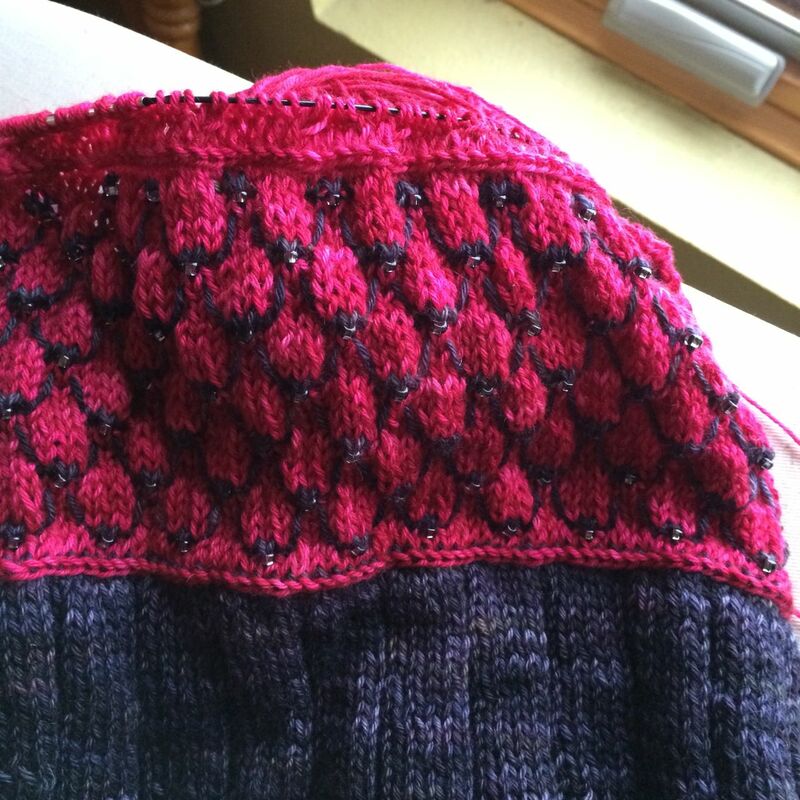 I am knitting: I finished the beaded section, did the 2nd braid and am on to the textured body of the shawl. Only, I have a different number of stitches than the pattern says I’m supposed to have, so…I have to figure that out. 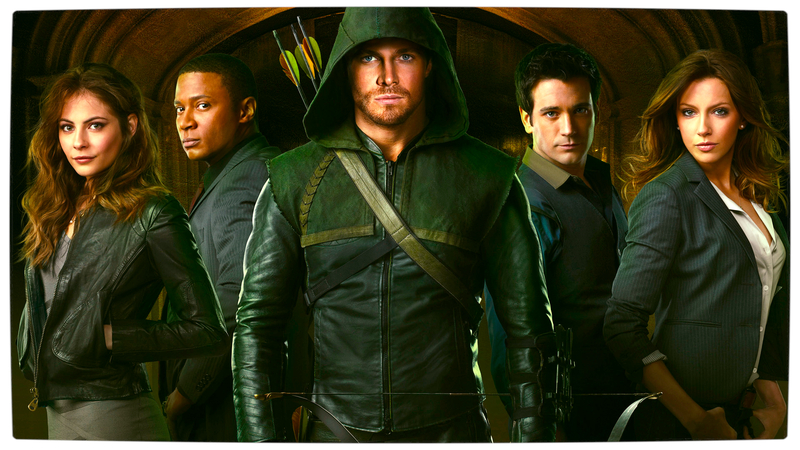 I am watching: I binge watched most of season one of Arrow over the weekend. I am reading: I’ve had a hard time getting into a book over the last few week or so. I’ve read such good books lately and nothing has really been capturing me. I’m currently trying “The Girl in the Steel Corset” by Kady Cross. It’s OK, but it’s not spectacular, at least not so far. And now, I’m going to work on cooking!